Hi everyone, today’s card is a quick and easy card that you could easily replicate. I think it would be fun to try out different colour combinations too. 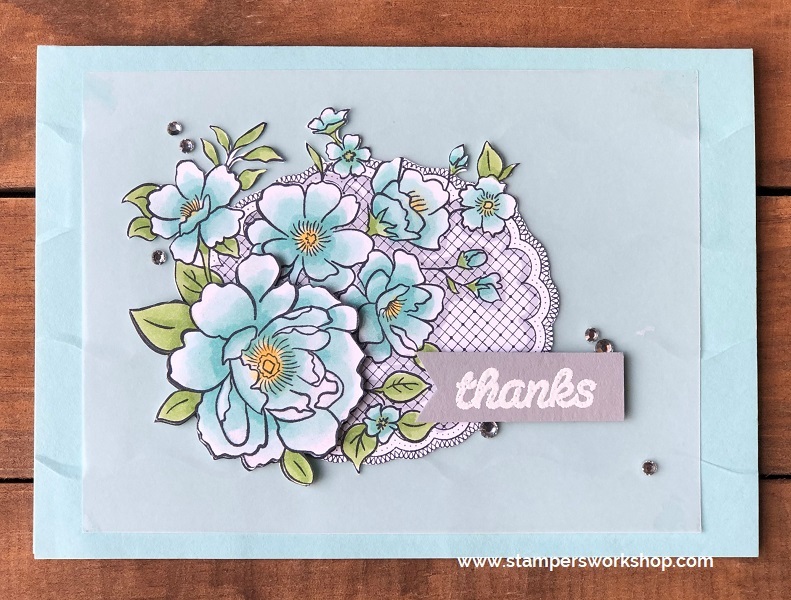 It features the beautiful Bloom by Bloom stamp set and the sentiment is from the Bouquet Blooms stamp set. I started out by stamping the flower on my centre panel and was trying to work out how to add the sentiment. Would a tag look good? A die cut? Maybe a punched shape? In the end, I kept it super simple and stamped directly onto the centre panel. The card was finished with a few sequins from the Gingham Gala Adhesive-Backed Sequins. Aren’t these pretty? I also love how the Dot to Dot Textured Impressions Embossing Folder added such a great finish to this card. It just gave it that little lift! Unfortunately, the ribbon I used on this card is no longer available as it sold out due to popular demand. In its place, you might consider using the Whisper Whtie 1/8″ Sheer Ribbon and colouring it with your markers to make it match your project perfectly. Thanks so much for stopping by! Hope you have a great day! 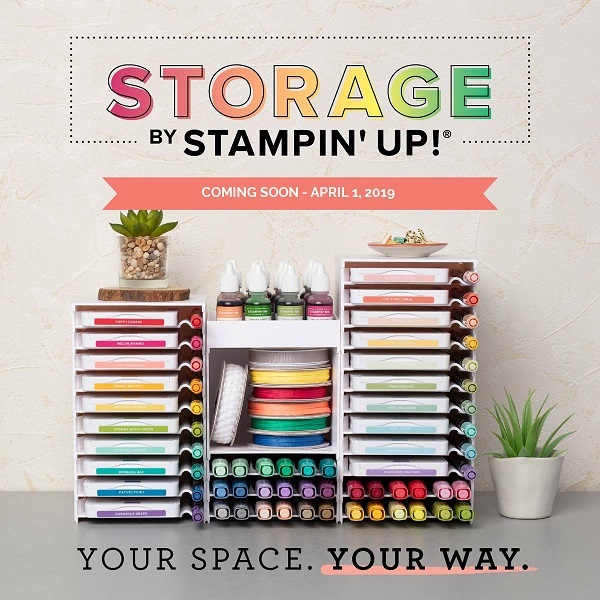 Shop 24/7 at my online store at Stampers Workshop! Listed below are the supplies used to create the above project. If the stamp set comes in different types (such as clear mount and wood mount) or as a bundle, I link to all. Hi everyone, today’s card is SO easy but I think you’ll agree it packs a bit of a punch. 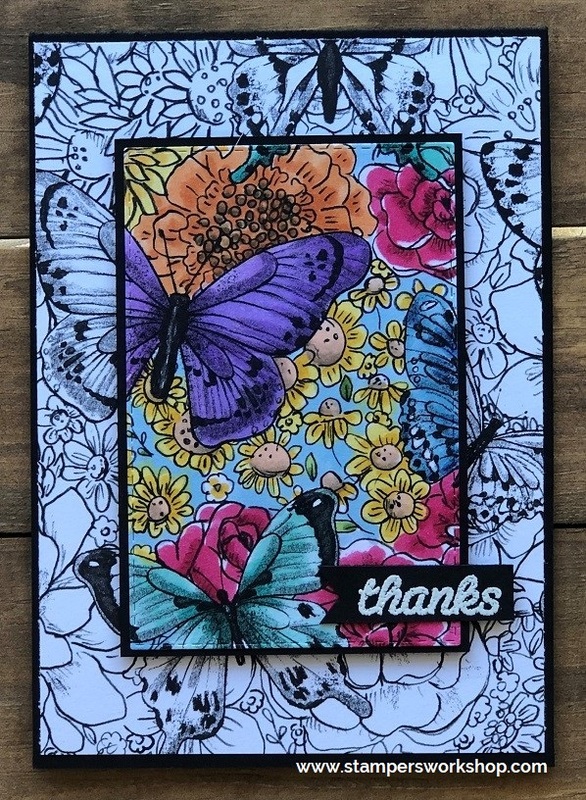 I pulled out the most beautiful black and white illustrated paper from the Botanical Butterfly DSP as I thought it would be so fun to colour. The paper is one you could select as your freebie with any qualifying order during Sale-A-Bration. It’s a beautiful paper pack. For this card, I decided to do the Spotlight Technique. This means I needed to find a part of the design which would really pop when I coloured it. I’m not sure I did it the easiest way but it worked for me. I moved my Rectangle Stitched Framelits over the paper to see what looked best to my eye. When I found the perfect spot, I held the die in position with a post-it note. Next up I used the card base and positioned it over the die and drew around it with a pencil before cutting it out. I also then die cut the Rectangle Stitched Framelits die from the centre. The larger panel was adhered to the card base. To colour this rectangular panel I used my Stampin’ Blends but you could any colouring medium you prefer. Just keep in mind that it is not designed for colouring with blends so the ink won’t blend as easily as it does on Whisper White cardstock. Once the panel is coloured, I matted it on black cardstock. I added some Stampin’ Dimensionals to the back of the panel and then positioned it in place on the card being careful to align it perfectly. Do you like this technique? Have you given it a try? I love it and I cannot wait to try it again, perhaps with stamps next time, very soon. Hi everyone, just when you thought I had left the Lovely Lattice stamp set behind me, it makes a comeback! I realised I had been using the stamp in the same orientation in my previous cards so for this card I moved it onto its side. It looks just as pretty, doesn’t it?! So versatile. I really encourage you to look at the stamps you have and try and see them in different ways. I’ve also used a sentiment from a new stamp set called Bouquet Blooms. I really loved the simplicity of the sentiment and thought it would finish off my card perfectly. It’s a little hard to see but I used the Ruffled Dynamic Textured Embossing Folder to create the base card. It gave a nice bit of interest to my card. The vellum panel helped ground my stamped image – it didn’t look so floaty. The card was finished off with some bling, I think I might be back on a bling kick. As with most of my cards, I think you could easily replicate this card using different colours, for examples, pinks or apricots, and they would look amazing!! 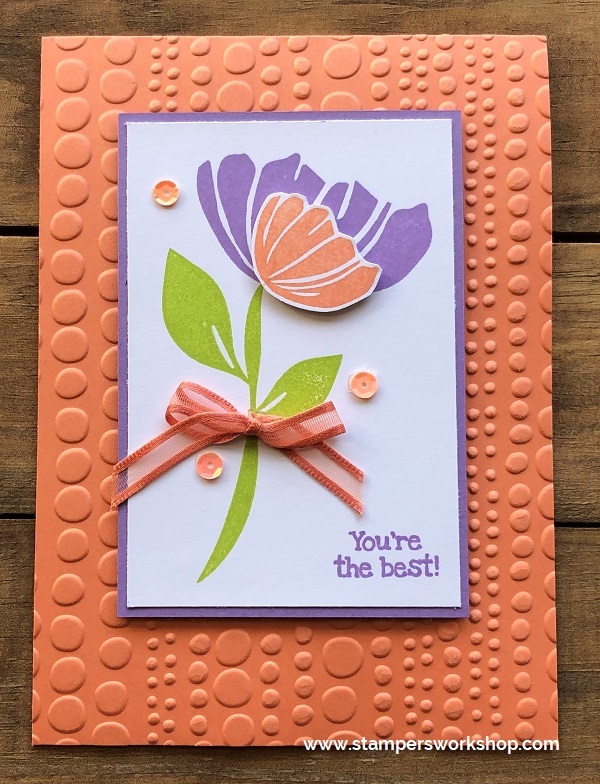 Don’t forget, the Lovely Lattice stamp set is one which you could earn for FREE during Sale-A-Bration with any qualifying purchase. Use the code below if your order is less than $250 to receive a little gift from me. If your order is over $250, do not use this code as you will be entitled to Hostess Benefits on your own order. @2017-2018 Stampers Workshop. All rights reserved. 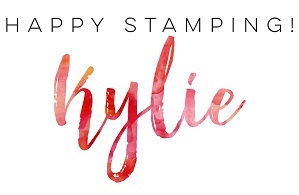 All information, cards, ideas, videos, photographs, are shared in good faith for inspiration and educational purposes and cannot be used without the express written consent of Kylie Page and Stampers Workshop. The information contained herewith is as accurate as it can be at the time of publishing, as too are the links to external sites. Please click on these links with care. Stamp designs and papers remain the copyright of their respective owners.